It’s a war out there. If you’re still sitting in your robe and slippers, sipping a cup o’ joe while you casually read the Sunday comics – with the absolute knowledge that your house is going to sell – you haven’t been paying attention. The percentage of homes for sale in Southeast Michigan versus qualified potential buyers has made this an extreme buyer’s market. If you’re not ready to do more than spruce up your lawn a little, you won’t win the battle. You won’t even win a skirmish. In short, if you’re not doing everything you can (or pushing your agent about him doing everything he can) to get your home taken off the list of homes for sale in Southeast Michigan, you’re not a motivated seller. If you aren’t a motivated seller, why is your home listed? Now isn’t the time to test the waters, because the waters are full of sharks, barracudas and other dangerous things with big teeth. Before you wonder why that house of yours is still one of the homes for sale in Southeast Michigan, think about it. Are you a motivated seller? If you’re a motivated seller looking for a real estate agent who can help you win this war, call me at 248-514-2640 or email me at info@NorthWoodwardHomes.com today. The national and Bloomfield Hills real estate markets are constantly fluctuating, falling somewhere between more inventory and lower prices and less inventory and higher prices. People are often frightened when the home inventory rises, but a declining real estate market may just be the perfect time to find your next home. Here are 4 reasons why you should consider buying Bloomfield Hills real estate in a down market. 4. Investment. Even though doom and gloom is forecasted in a down market, your home will still most likely go up in value or at least retain its value. Keep in mind that your home is your most personal investment. It is a place where you will create memories and maybe even raise a family. If you’re considering buying a home, let me help you find a wonderful home at a great price. Call me today at 248-514-2640 or email me at info@NorthWoodwardHomes.com. You know you’re going to pay a mortgage for however many years once you sign the paper on a Bloomfield Hills home. You know your agent is going to get paid for the absolutely wonderful, fantabulous, expert job he or she did to help you find the home of your dreams. What you may not be expecting, however, are the closing costs. • Prorations – The allocation of property taxes, interest, Home Owner Association dues, insurance premiums or rental income between buyer and seller proportionate to time of use. For example, if the property tax is paid up to a period after you close on the house, the seller might be entitled to reimbursement. • Appraisal Fee – The fee charged for a written appraisal by a qualified person setting forth an opinion of a property’s fair market value. • Fire Insurance – Just in case you burn the house down after you buy it, lenders might require you to have a fire insurance policy. • Purchase Points – These are known as “discount points,” or just “points,” but it’s more like “pay the lender less now or pay the lender more later.” Each point costs 1% of your loan amount and reduces your interest rate for the life of your loan (usually by fractions of percentages). Since it can take a few years for the lower payment difference to offset the initial closing cost, paying for points is probably only a good idea if you plan to live in the house for five years or longer. With interest rates as low as they are now, it may not be a good use of your hard earned income. The good news is you won’t have to guess what the closing costs are for your new Bloomfield Hills home. The lender is required to give you a list of the closing costs and the potential cost of each, so you won’t be completely surprised. If you have questions closing costs or any other real estate related questions, I’m happy to help. Call me today at 248-514-2640 or email me at info@NorthWoodwardHomes.com. 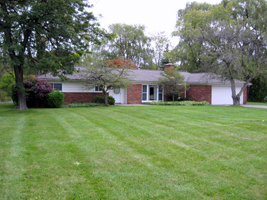 Is Buying a Royal Oak Michigan Home for Sale Ever Going to Be a Good Move? If you’ve thought about buying a Royal Oak Michigan home for sale, you have to be wondering, “Is it ever going to be a good idea?” I understand; there’s an endless stream of media pouring out bad housing news. It’s discouraging to say the least if you’re a homebuyer or a home seller. Yet, the problem with the news from the home buying standpoint is that it focuses on profit. The media says, “You can’t make a profit from buying a home.” They talk about prices dropping and more homes hitting the market, among other things. What they miss, however, are the real reasons most people buy a Royal Oak Michigan home for sale. Unlike rent, which can go up and up and up, fixed-rate mortgage loans stay the same. They work exactly like they sound; the rate you start at when you buy your Royal Oak Michigan home for sale is the rate you end at when you finish paying off your mortgage. Nobody owns it but you. There’s a certain pride to owning a home that far outweighs profit. The excitement from making a profit, however small or large, is a fleeting, momentary thing. When you buy one of the Royal Oak Michigan homes for sale, you’re buying a castle – a safe haven where you can get away from the world; a place where you can relax and be comfortable. If you’re ready to find your castle, I can help. Call me at 248-514-2640 or email me at info@NorthWoodwardHomes.com for more information. Buying a new home takes a lot of preparation. Without knowing what you are walking in to, you are bound to run into road blocks. A good Troy Michigan real estate agent can help you understand the intricacies involved in purchasing your new home. Some of the most common problems that buyers run into are avoidable. A big mistake many prospective home buyers make is not realizing there are many costs associated with buying Troy Michigan real estate besides just a new mortgage. There are closing costs, legal costs, insurance costs, property taxes and deed and recording fees. All of these have an impact on your wallet and most need to be paid at closing. Want to know more about how to prepare to purchase Troy Michigan real estate or Oakland County real estate? I’d be happy to walk you through the entire process. Give me a call today at 248-514-2640 or email me at info@NorthWoodwardHomes.com. Foreclosures for Sale in Southeast Michigan: A Great Investment or Bad Disaster? With all the talk of the great deals you can get on foreclosures for sale in Southeast Michigan, you may be tempted to step into the investment market. Or, you may get the idea that buying a foreclosure is your best bet for a great deal on a home. Well, it’s possible, but remember that the foreclosure market is full of perilous pathways and competitive investment pros who know what they’re doing. Whether you’re considering purchasing foreclosures for sale in Southeast Michigan as investments or as your personal residence, here are a few tips that will help you get a great investment and avoid a bad disaster. • Gather a Team of Professionals: Your team of professionals should include a home inspector, a real estate agent and an appraiser. You may also want to include a professional repairman, if you’re not handy. With foreclosures, you often have to be ready to move on the home immediately, so establish relationships with these professionals ahead of time. • Buy a Pre-foreclosure: According to the experts, pre-foreclosure is one of the best times to buy. The seller will probably be more willing to accommodate you because they want to avoid ruining their credit. Which means you’ll have a much better chance of getting a good deal – something more than the seller owes the bank, but less than market value. • Skip the Auction: While going to foreclosure auctions is another possibility, it isn’t for the beginning investor. You may find that you’ve done a whole bunch of research for nothing, because the auction was cancelled. You may end up with a trashed property because the previous owners didn’t want to move, or because the house has been empty for a long while. • Be Careful Buying Bank-Owned Properties: This option is seldom as great as it sounds. Not all banks price homes at fair market value. Many of them are trying to get their money back, which, with current depreciation, could be much more than the home is currently worth. If you’re considering buying foreclosures for sale in Southeast Michigan as an investor or a homebuyer, I can help. Call me today at 248-514-2640 or email me at info@NorthWoodwardHomes.com for more information. Halloween Decorations for Homes for Sale in Southeast Michigan? Take a deep breath. Don’t panic. First, if the idea of Halloween or autumn decorations this year (versus before you had a home for sale in Southeast Michigan) freaks you out, you need the break anyway. Secondly, it’s the perfect opportunity to sell your house. Holiday decorations can help buyers imagine the decorations they might use for a warm, inviting atmosphere. There is, however, a difference between decorating before you put your home on the market and decorating now. For example, don’t go overboard. You want potential buyers to enjoy a relaxing stroll through the house, not scream when the skeleton falls out of the closet. If you decide to decorate for Halloween rather than just an autumn theme, that’s okay. Pumpkins, used wisely, can draw attention to an area. However, growling faces are a thing of the past until your house is sold. Use harmless, happy pumpkin expressions to help build the overall cheerful holiday house-buying mood. Forget about burning candles right now. The last thing you want is to have a candle fall over during negotiations and set the curtains on fire. It’s a sure bet the buyers will change their minds. Consider using flameless candles as a safer alternative. They’re even available in autumn scents such as Pumpkin Spice and Cinnamon Fusion. You can use autumn colors to warm a room. A bowl of chrysanthemums and dried leaves will make a special touch in the bathroom, while pumpkin gourds can add warmth to a porch. Because of the holidays coming up, autumn makes people nostalgic. For most, it brings thoughts of family and friends, pumpkins and turkey, fun and light-heartedness. A warm, inviting decorating scheme can further bring out that nostalgia, and get a SOLD sign put in front of your home for sale in Southeast Michigan. If you’d like to sell your home before the holidays begin, I can help. Call me at 248-514-2640 or email me at info@NorthWoodwardHomes.com for more information. Leaves are starting to change color, nights are getting cooler and pumpkins are appearing on porches of Bloomfield Hills homes. All signs that fall is here. • Have a professional heating contractor inspect your Bloomfield Hills home’s heating system. An annual furnace inspection ensures that your heating system is operating at peak efficiency and most importantly that it is running safely. • Replace your furnace filter. Furnace filters need to be replaced frequently to allow your heating system to operate properly. • Hire a certified chimney sweep clean. Have him inspect your wood burning stove or fireplace and clean the chimney. • Check your home for water damage. Look for water stains on the ceilings or leaks under the bathroom and kitchen sinks. This minor water damage may seem trivial, but can lead to real problems, like a weakened roof or rotten boards. • Prepare your pipes. Every year, approximately a quarter-million families have their homes ruined due to water pipes that freeze and burst. Prepare your pipes, both inside and outside, before the cold weather hits. Caulk around pipes where they enter your Bloomfield Hills home. Insulate pipes in unheated areas. If you have a separate valve for outside faucets, shut it off. If you don’t have a separate valve to turn off outside faucets, wrap outside faucets or hose bibs. • Inspect your smoke and carbon monoxide alarms. Replace batteries and clean the alarms if needed. • Examine caulking. To prevent water from seeping into the sub-floor, inspect and repair the caulking around your bathroom fixtures. To reduce heat loss, inspect and repair the caulking around doors, windows and outlets. Want more home maintenance tips like these? Subscribe to my blog now. It’s free, fast and easy. Or, email me at info@NorthWoodwardHomes.com, and I’ll set up your free subscription for you. Should You Buy Southeast Michigan Real Estate Through an Auction? With the many auctions here and throughout the U.S., you may be wondering if it’s worth buying Southeast Michigan real estate this way. Auctions let you bid at a public sale. Some property is being sold by the owner, but most properties are foreclosures being sold by banks. Like any endeavor, there are pros and cons in buying Southeast Michigan real estate at an auction. For instance, a pro for auctions might be the price; you can often get great discounts on nice homes through an auction. However, you may get caught up in the fervor of the bidding process and pay more for a home than you ever intended. When you work with a real estate agent to buy a home in the traditional manner, you go through the home inspection process. This ensures the home is in sound structural condition. In an auction, you have to go with the timeframe of the bidding process and most likely will not have time to get a home inspection performed. In fact, homes sold at auction are sold “as is.” That means no improvements will be made to the home, even if you had it inspected and found something wrong. Additionally, there’s no warranty and no legal recourse to get your money back if you find problems later. In foreclosure auctions, a property may have a tax lien. If you win the auction, you may then become responsible for the payment of the tax lien. It could be a small or large amount of money, but no matter the size, you may not be able to afford it on top of the cost of the house. Lastly, consider that full payment may be required at the close of the sale; if not full payment, earnest money will at least be required. Because closing usually happens within a month of the auction, it’s always best to be pre-approved for your loan before you start bidding. If you’re looking at Southeast Michigan real estate auctions for your dream home, do your homework first. You could end up with a fantastic deal, but, without enough information, you could also end up with a dead end. If you’re looking for a great deal on a wonderful home, I can help. Call me today at 248-514-2640 or email me at info@NorthWoodwardHomes.com for more information.